Since my back surgery, the pain in my low back/sacrum area often feels cut off from the rest of my body. In attempting to change my relationship to my sacrum and listen to what it has to tell me, I knew I needed to bring more hope and love to this area that holds so much pain and trauma. 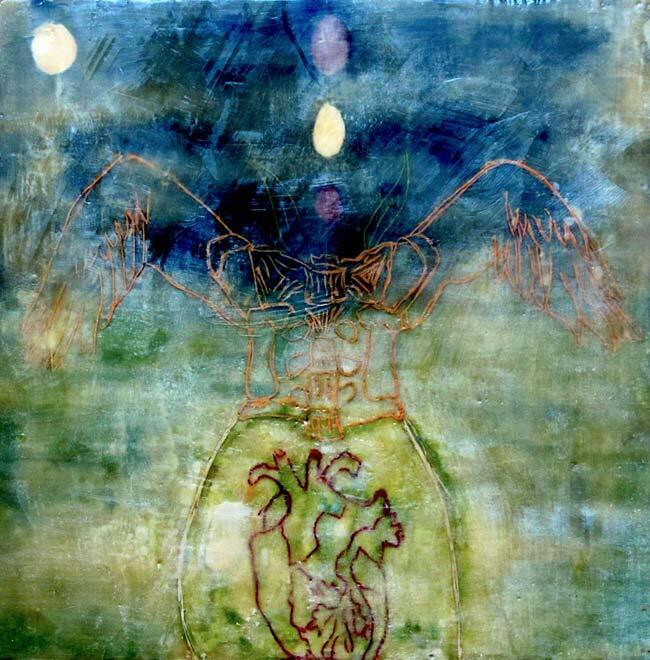 I wanted to give my sacrum wings, so that it could be offered an opportunity to open up differently, and I wanted to place my heart in a different relationship to it as well, so that it was closer to my sacrum. The eggs are symbols of remembering that I am whole, even when I feel broken.